New England Horse labs, an equine testing facility, is located in Worcester, Massachusetts. 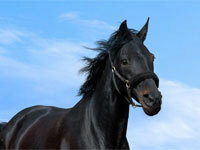 New England Horse Labs was founded in 1975 under the original name of DVMLabs in Warwick, RI. Over the next 30-plus years, DVMlabs went through a series of name changes while continuously servicing the veterinary community throughout New England. Now under new ownership and management New England Horse Labs has a brand new, state of the art equine specialty lab. With a wealth of experience in histology, veterinary and clinical services, New England Horse Labs is available to serve all equine veterinarians and stables throughout the United States. To leave feedback or ask a question, please fill out the form below. *Specimen pick-up offered in certain areas and/or seasons. Contact us for more information.